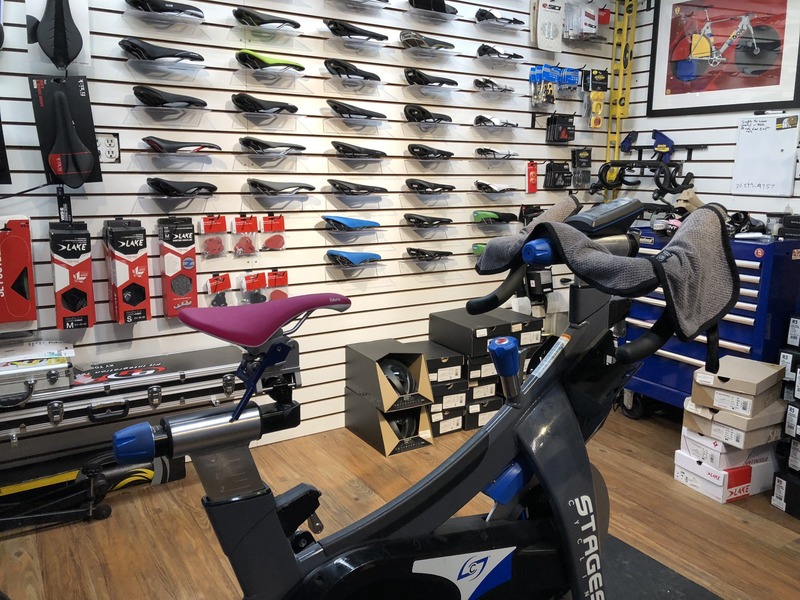 Kirkland, WA—March 25, 2019—BikeFit is proud to announce our partnership with SUD Outdoors to distribute BikeFit products in Argentina. SUD Outdoors is a rapidly growing, multi-faceted company that also will distribute Respirfix and Elit Bicycles. 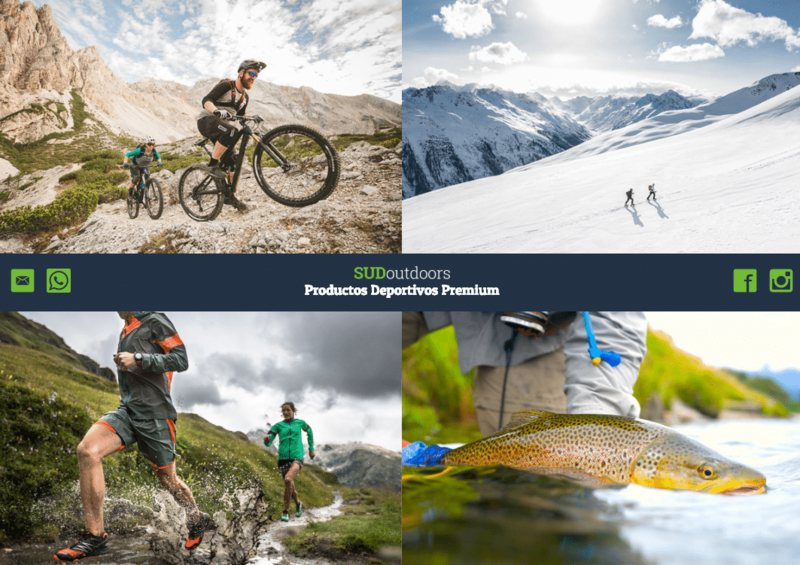 They represent and distribute premium brands specializing in outdoor activities such as cycling, snow sports, trail running, and sport fishing; offering leading, innovative and high-quality products. They offer passionate people the best brands and products with well-deserved service. SUD Outdoors will ship products into multiple countries of South America including Chile, Uraguay, and Paraguay. BikeFit’s expanse into South America means that our products are now available from our international distributors on 5 different continents. What is the shape of comfort? 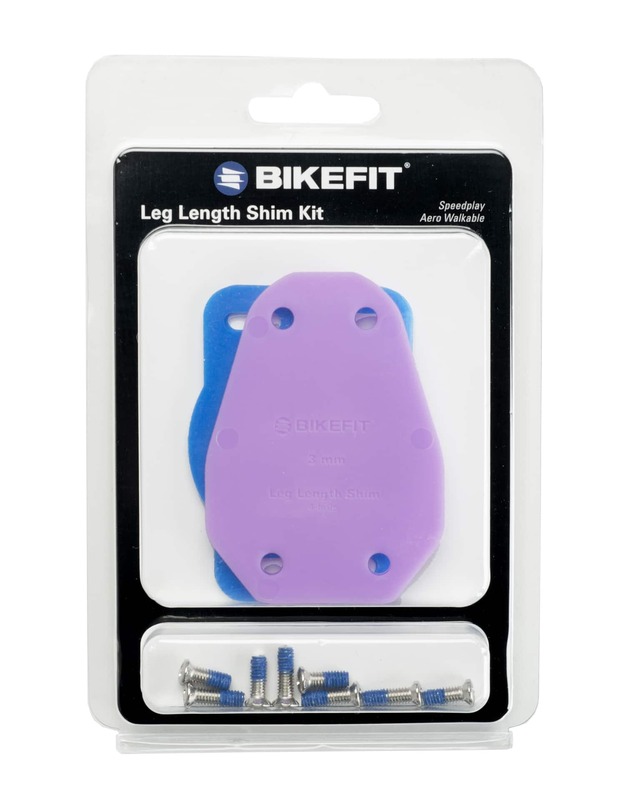 BikeFit examines each one of our products to assure that cyclists achieve the most comfortable ride. With that goal in mind, we often review our products to see if we can improve upon a great idea. In 2018 we updated many of our plastics with a stronger more durable compound and we updated the shape of our popular Look/Shimano Cleat Wedges. For 2019, our SPD / Mountain Bike 2-hole wedges received a signifcant makeover. 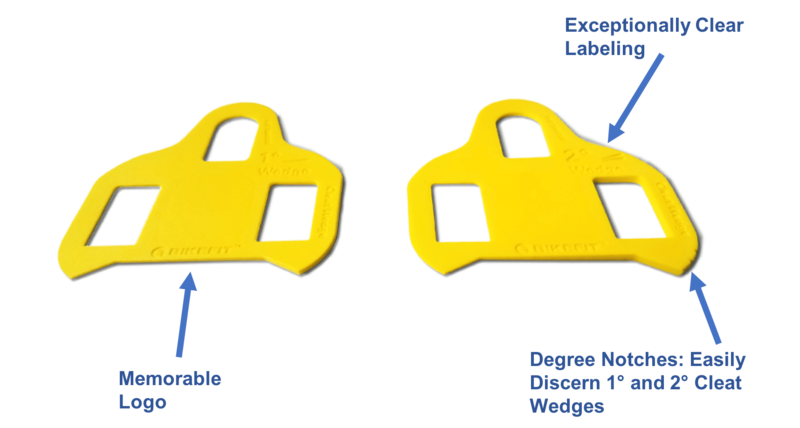 Due to the popularity of the Look 2-Degree Cleat Wedge, we’ve also released a 2-degree version of our SPD/MTN Cleat Wedge as well. 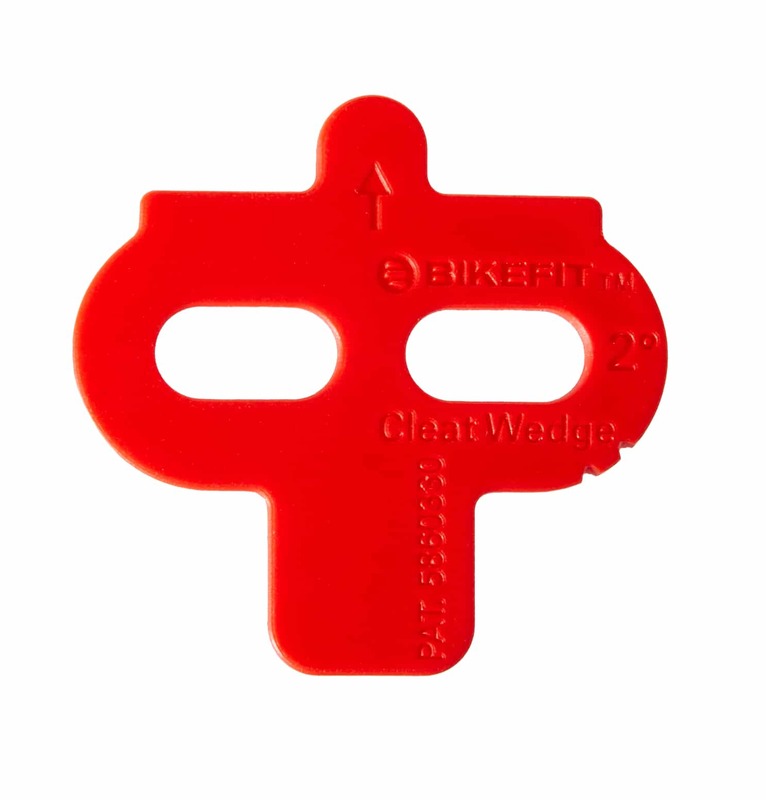 This thicker version of the wedge allows bike fitters the ability to fine-tune fits without fumbling with multiple 1-degree wedges. Currently, the 2-degree SPD/MTB wedges are only available for dealers and wholesalers with a wholesale account, but we may expand that market based on the demands of cycling enthusiasts. 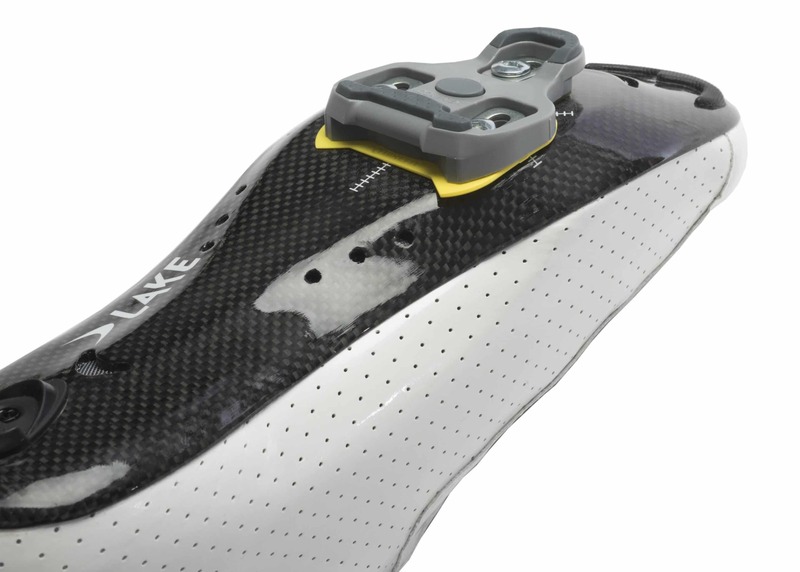 Kirkland, WA—February 19, 2019—BikeFit, which offers an array of products and tools that enhance the cycling experience and optimize performance, has signed an exclusive a deal to distribute the G8 Performance 2620 Pro Series Orthotic Insoles in North America. The G8 is available now for direct purchase at bikefit.com, with bulk pricing options for retailers, bike shops and other qualified professional partner/dealers. The G8 Performance 2620 Orthotic Insole contains advanced, highly flexible material, delivering comprehensive toe and arch support that passively strengthens the arch and enables the foot to better flex and pronate for increased comfort. Its highly customizable arch piece(5 heights included for each foot) augments comfort and accommodates changes in foot strength and flexibility. 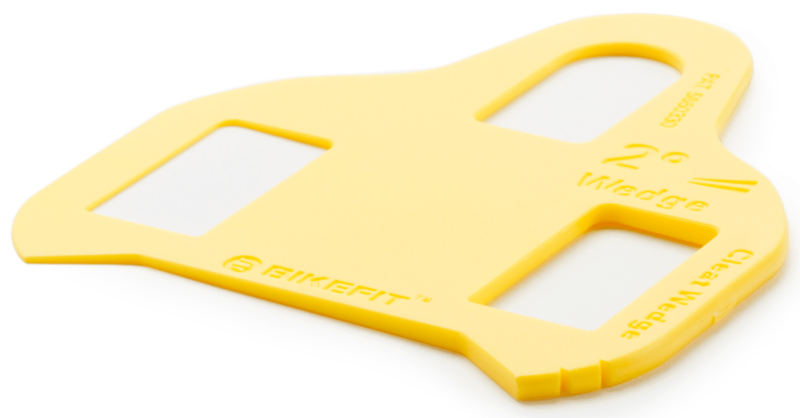 “BikeFit and G8 share a common vision to reduce injury and increase athletic performance. They are a fantastic partner, highly respected by the cycling and bike fitting community worldwide,” said G8 Performance founder David Lee. 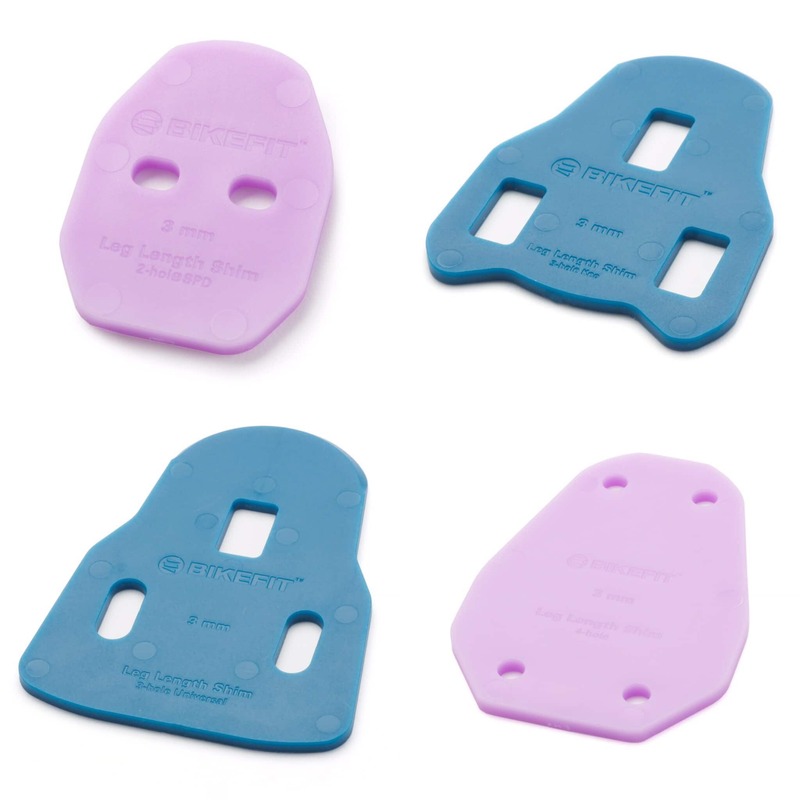 Learn more about the G8 2620 Orthotic Insole. 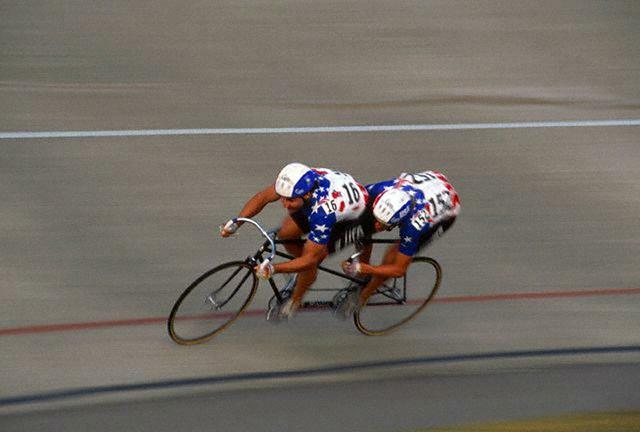 In his early days of track racing, Paul Swift (founder of BikeFit and CEO of CyclePoint) constantly heard the incessant yelling of his coaches, “bring your knees in!” This assumed that there was something inherently wrong with Paul’s form and he needed to force his knees into the “correct” position. Paul is unlikely to admit that his form was anything less than perfection, but the “knees in” adage was fundamentally flawed. At the top of the pedal stroke, the knee was not under the same amount of pressure, and it moved outward naturally to get closer to his ideal position for comfort. The knee then followed the foot faithfully down to discomfort town forcing it inward at the 6 o’clock position. 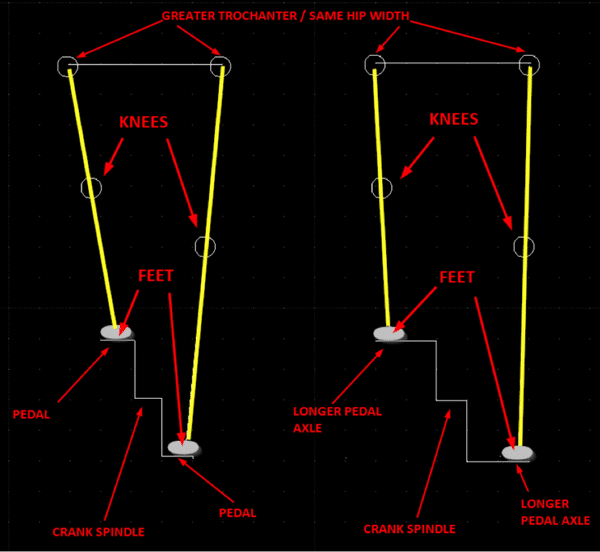 Stance Width – The distance between the center of one pedal to the center of the other pedal. This article will also reference individual leg stance width, which is defined by the distance from the center of the bottom bracket to the center of the pedal. 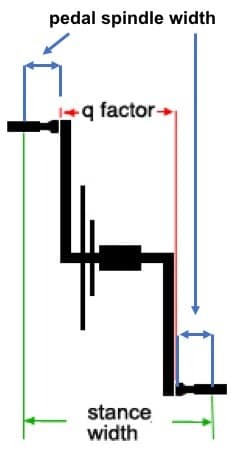 Q Factor – The distance between the outside portion of each crank arm where the pedal attaches. The term was originally coined by Grant Petersen while he worked for Bridgestone Bicycles. The “Q” stands for “quack” which referenced the wide stance of a duck. This is seemingly contradictory because the argument can be made that q-factor (unchangeable and determined by multiple factors such as bicycle and component manufacturers and the width of the chainstay) is, in many cases, too narrow on a road bike. 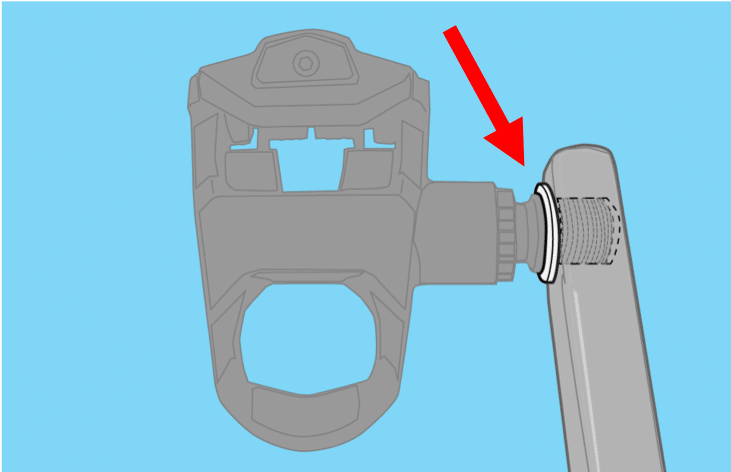 Pedal Spindle Width – The distance from the outside of the crank arm to the center of the pedal. Now that you’ve thoroughly digested the major terms of the article and you’ve realized you need a signifcantly stronger beverage, let’s completely change gears and talk about snowboarding. When you Google “Stance Width,” a plethora of articles about snowboarding flood the screen. Significant time and energy focus on the adjustment of snowboarding stance width. 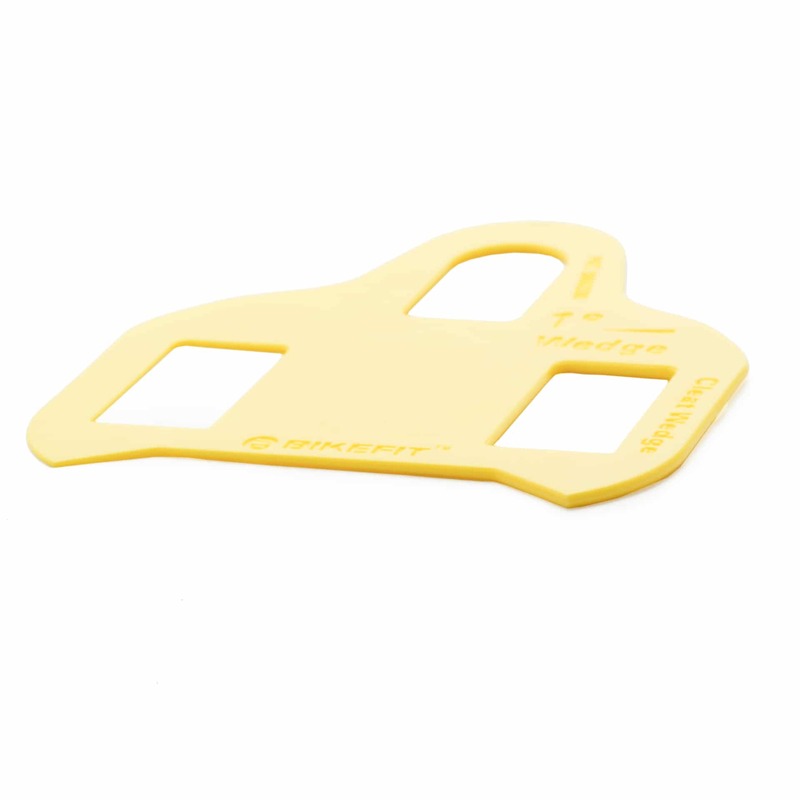 Their starting point is based on a measurement from the center of the kneecap to the floor, applying that measurement as an initial width starting point, and then specifically adjusting both width and foot angle until the individual achieves maximum comfort. In most of the articles we discovered, a trial and error method was utilized. Clearly, we are unable to apply the same measuring standards from snowboarding to cycling but there is a striking similarity: the feet need to be set up correctly because once set, the individual is unable to self-select their stance width. Author, bike-fitter, and physical therapist Dr. Katrina Vogel reminds us that “you self-select your stance (width) when you walk, run stand or jump.” Therefore, in sports when you are “locked-in,” achieving the correct stance width is paramount to power delivery, efficiency, and injury prevention. While snowboarding uses multiple pre-drilled holes in the board to customize the stance width of the bindings, in cycling, we have two determining agents (as well as some customizations that we’ll discuss later): q factor and pedal spindle length. Road Bike: Approximately 150mm. Currently, many Shimano cranks boast a 146mm q factor and the masterminds at Campagnolo prefer 145.5mm, just to mention a few. Mountain Bikes: Approximately 170mm. Sram XO1 and Shimano XTR both width-in at 168mm. 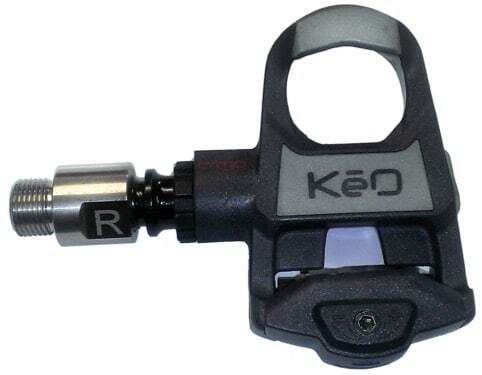 *Note – Look Keo pedals have a threaded area that is 2mm longer than other pedals, allowing for the safe installation of up to (2) 1.5mm spacers. *Xpedo, like Look, provides a 2mm longer threaded area. 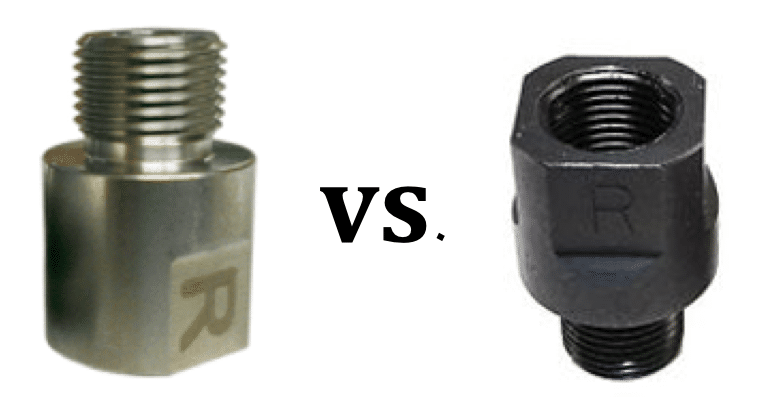 The last 2 examples may not be as well known on the market, specifically, Keywin is difficult to acquire in the United States, but we mention them to accentuate pedal manufacturers focusing attention on stance width. In our opinion, this is a largely ignored, pivotal factor in achieving optimal comfort, power and efficiency on the bike. 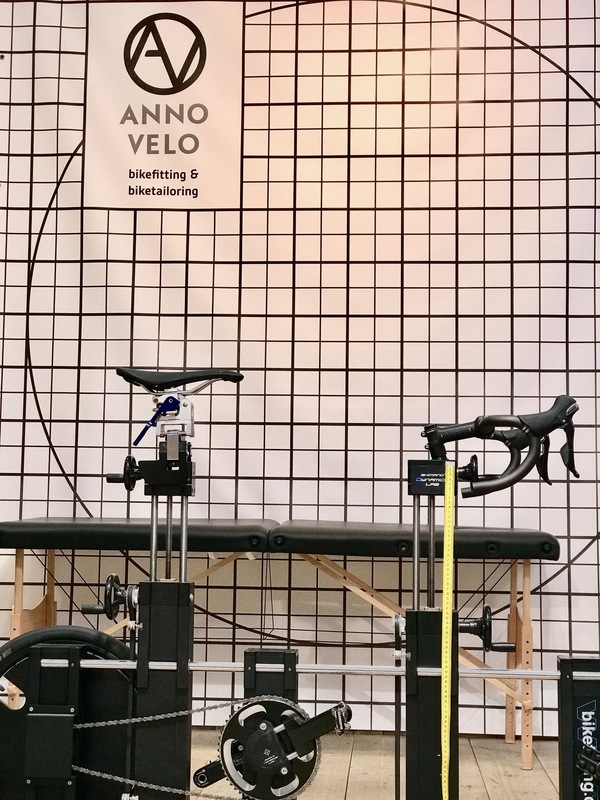 Although some companies like Speedplay take this into account, for most riders some customization is required to optimize peformance and reduce injury. 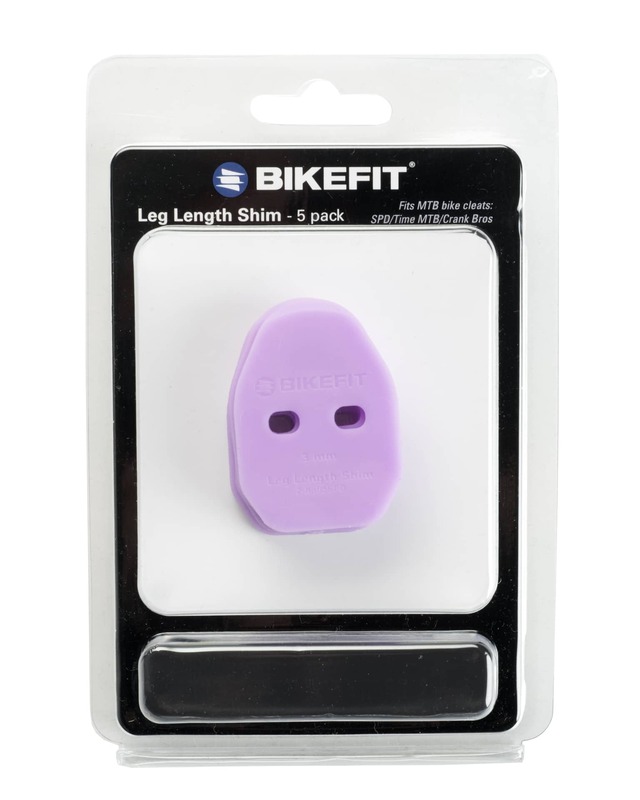 Although research for this blog post discovered zero articles on common trends in cycling stance width, the consensus of the experienced minds at BikeFit, our trained BikeFit Pros and the popularity of Pedal Extenders, support the need for stance width modification. It’s difficult to believe that the majority of every asymmetrical human male and female size 4’8″ to 7’2″ would be accommodated by a 252mm (about 10 inches) stance width (252mm was obtained by using an average 53mm pedal spindle width on each side and a 146mm q factor). Considering the pedal spindle width and q factor example, cycling is like the “one size fits most” of clothing. We are not sure of who fits the “most” category but in our experience, “most” is more like some. 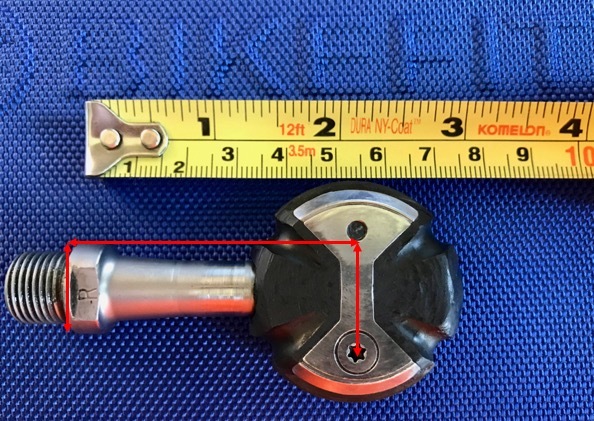 Granted, we already mentioned the possible extended pedal spindle width but think about the amount of emphasis on bike size rather than stance width–every company offers multiple bike sizes but not every company offers an array of stance width options. Take a moment to evaluate each knee. The left and right (more significant) distinctly move outward at the 12 o’clock position and then back in at the 6 o’clock position. Even without the aid of the laser guide, it’s obvious the knee craves a wider stance width but is forced to follow the position of the foot inward during the downstroke. This is incredibly common. We challenge you next time you’re on a lovely weekend ride with others, observe the pedaling of your compatriots. Do you notice knees kicking out at the top of their pedal stroke? 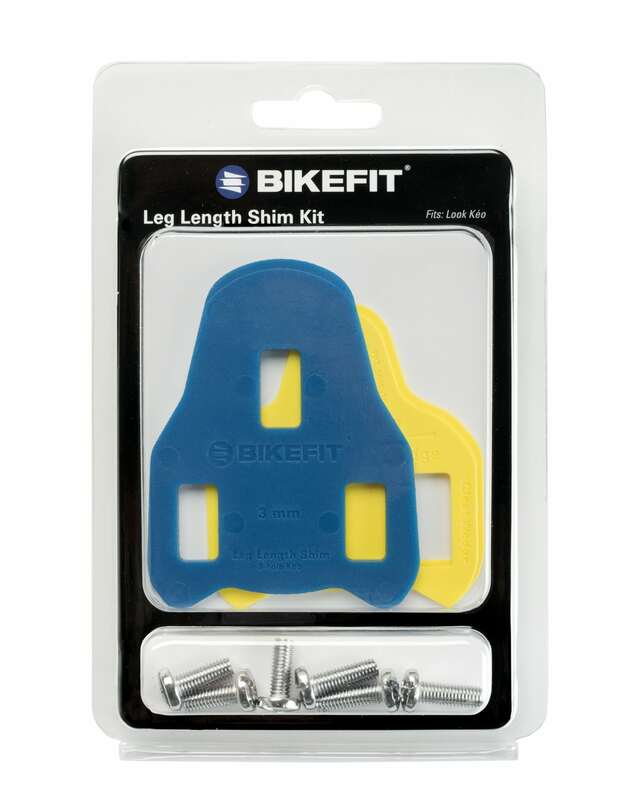 Without delving deeply into the world of bike fitting, the “knees out” rider may also have a saddle height issue or a need for Cleat Wedges. If the saddle is extremely low, a similar pedal stroke will develop. In the case of the video above, saddle height is not the culprit. The client did require wedges, but in order to not confuse the issue, stance width is the main problem. *In case you’re scoring at home (of course you are), this is a quintuple blog repeat score for using “stance width” in every major heading (spoiler alert, they’ll be 8). It exemplifies how we feel about the topic. Feel free to reference some of the pedals mentioned earlier such as Speedplay, Issi, and Keywin. 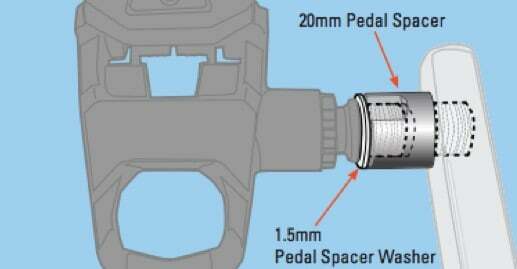 While Shimano Dura Ace pedals now offer a 4mm extension, the “regular” spindle width is already tight at 51mm. As a result, a 55mm spindle width may not be long enough for many riders. 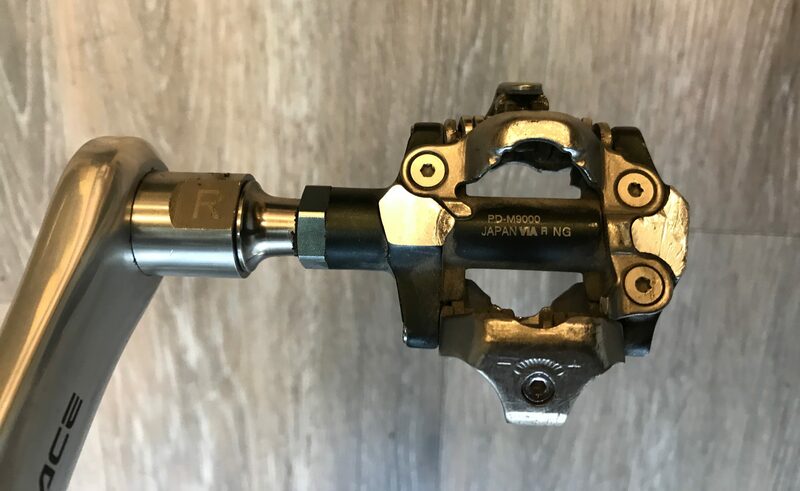 When Road Bike Action reviewed the first model (9000) with the extended spindle option, they made this bold statement, “for those looking for a wider stance without bulky extensions, the Shimano cleat has ample lateral adjustment. 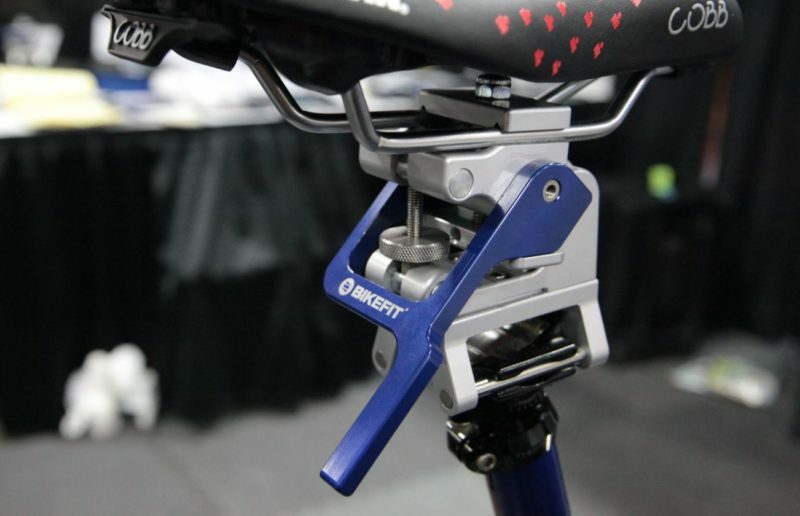 The pedals also have a 4mm-longer axle option to widen your stance width even more.” To say the cleat has “ample lateral adjustment” is like saying that a Ferrari Portofino has ample seating space. It does, if your only intention is to drive yourself and one other extremely lucky person through the streets in style. The Shimano cleat does have ample lateral adjustment for some people, but most will require more and even a 4mm longer spindle option will often not solve the problem. 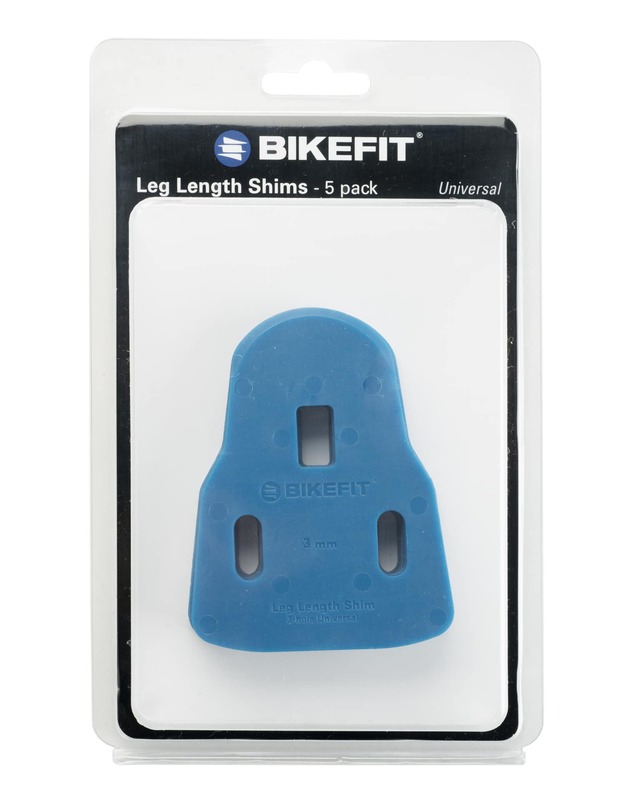 Most bicycle cleats and shoes have some room for lateral movement. While some cleats/shoes offer more flexibility than others, this simple change makes a noteworthy difference and is the most affordable adjustment. 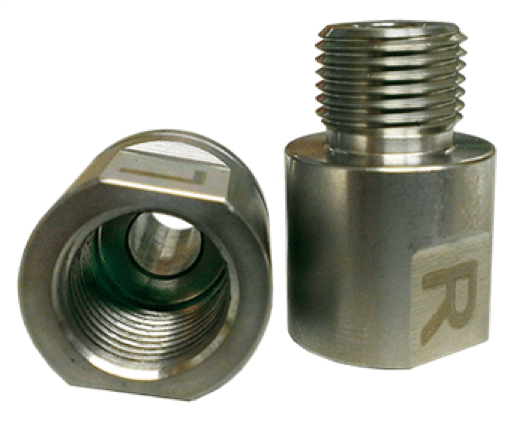 These small spacers provide an extra 1.5mm to stance width. We do not recommend using more than (1) per pedal. It’s important that there are enough threads to safely install the pedal into the crank. As we mentioned earlier, Look Keo pedals are built with a longer threaded area to accommodate an additional 1.5mm spacer. This is not a gratuitous sales ploy by the marketing team at BikeFit. 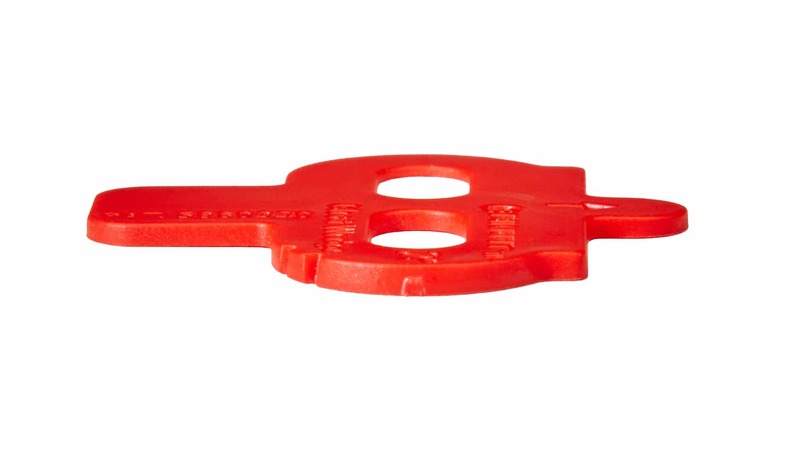 These extenders have helped a multitude of riders. When the lateral movement of the cleat, a longer spindle or the 1.5mm spacers are not enough, the 20mm pedal extender works wonders. Using the previous equation based on the q factor of a Shimano crank, adding a pedal extender to each side would add 40mm to the overall stance width for a total of 292mm or about 11.5 inches. Considering an avg. mountain bike q factor is 170mm, adding 40mm to a road bike at 146mm will likely help many cyclists achieve desired comfort and alignment. 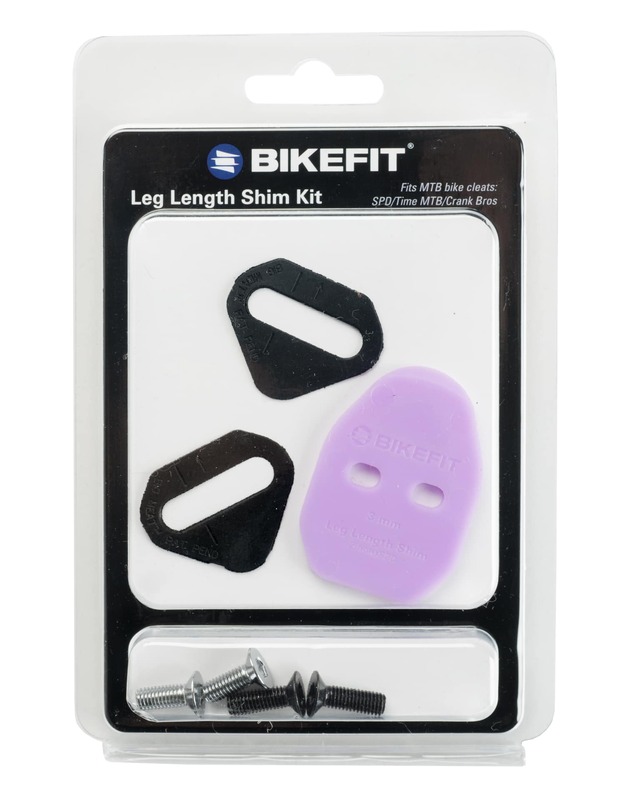 BikeFit offers both a Hex+ 20mm Pedal Extender for those pedals that require an 8mm wrench for installation and our regular 20mm Pedal Extender for all other pedal installation types. Every person requires their own specific stance width. Therefore, combining the different methods together will yield the best results. 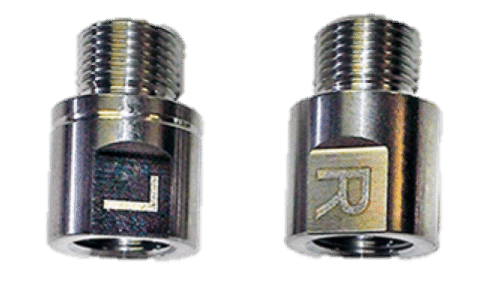 If you need more space than the 20mm extenders provide, add a 1.5mm spacer. 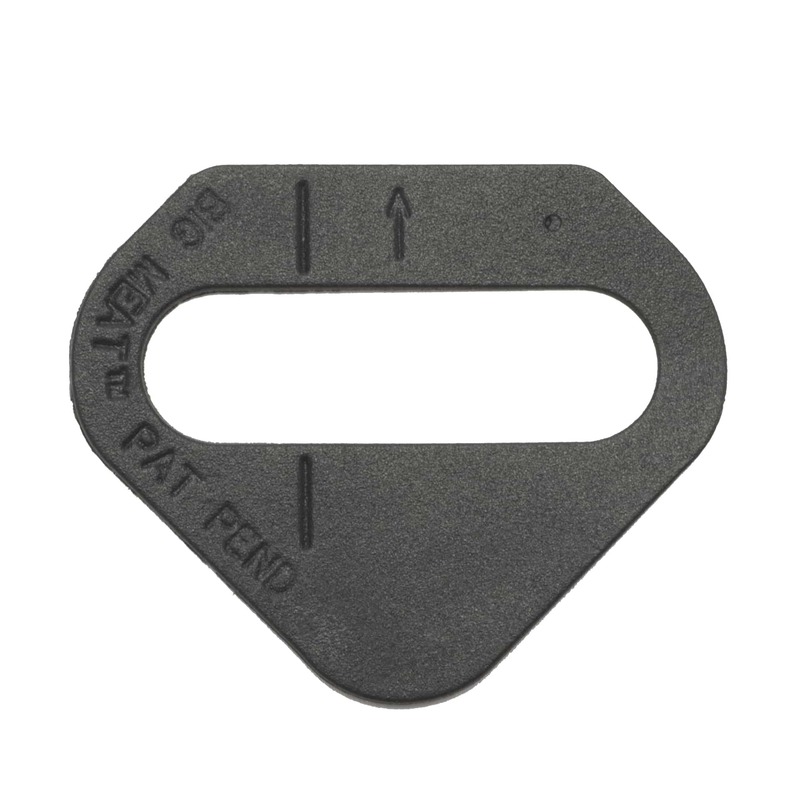 If the 20mm extender is just a bit too long, consider laterally moving the cleat out (foot in) after installation. 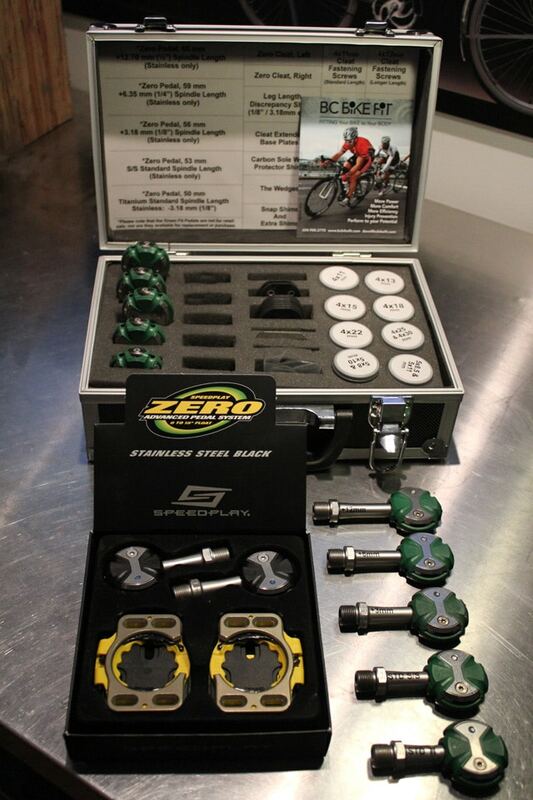 Many riders even combine the longer spindle of a Speedplay pedal with a pedal extender or a pedal spacer. The diagram to the right displays the differences an adjusted stance width offers the rider. Although it shows a “longer pedal axle” as the optimal intervention, the same methodology can be applied using the solutions mentioned previously. If research was conducted on cycling stance width, a bell curve of the most prevalent measurements may exist. Even if that information for cycling was available, in our experience, bike fitting is somewhat subjective. Therefore, the perfect formula for cyclist A may be horrific for cyclist B. Stance width is worth examining for every cyclist on any type of bicycle. As we’ve mentioned in other articles, if a cyclist is out of alignment riding at 85 rpm, that’s 5,100 pedal strokes per leg, per hour. If we carry this scenario out further, let’s say the average cyclist rides 6 hours per week, which is roughly 122,000 pedal strokes per month and over 1 million per year, per leg. With that number of pedal strokes, the strain on the body (especially the knee) is significant. In cycling, the industry usually grabs us with the flash of style: aero helmets, new colors, more gears, less friction, larger pulleys, more carbon…etc, but none of these are more important than fit. Does it matter how your bike looks or functions if you’re in too much pain to ride it? If you’re a bike fitter or a bike shop, we implore you to analyze the stance width of every rider you fit or bike you sell. If you’re a cyclist, as much as tinkering with fit may improve your comfort, it also may make it worse. It’s worth every penny to get a professional fit. 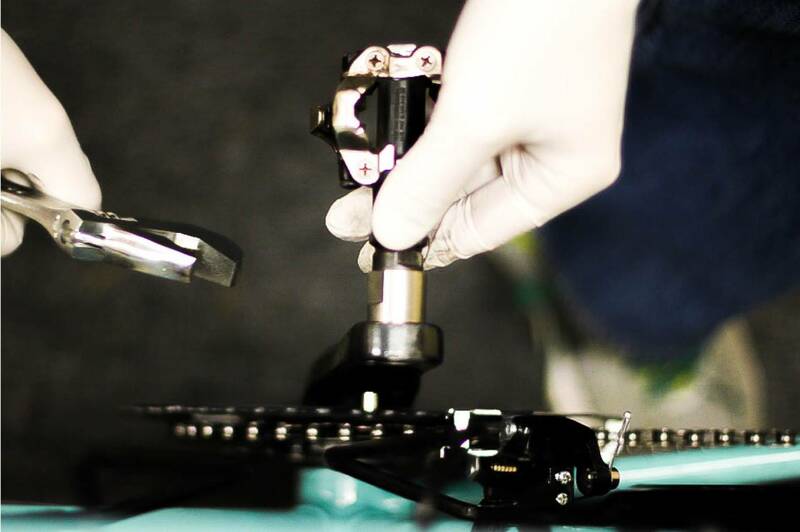 Before you schedule a bike fit, ask your fitter whether they examine stance width and what modifications or process they use. Glean as much information as possible before you book it or you’ll be unhappy with the results. If you have questions about fitting or stance width, feel free to drop us a line. Mark Cavendish is well known in the cycling world for being one of the greatest sprinters and arguably one of the best cyclists of all time. With 48 grand tour victories, 30 in the Tour de France alone, and winning the 2011 Road World Championship, his accolades are undeniable. 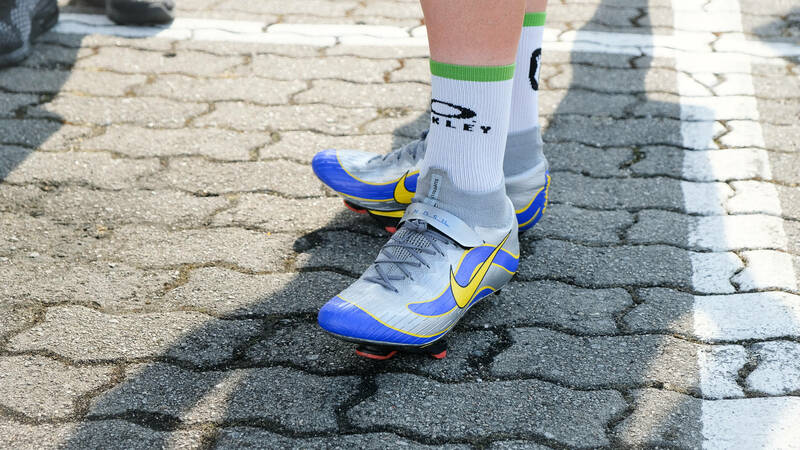 BikeFit products are used throughout the cycling world and these pictures of Mark’s new kicks complete with Cleat Wedges clearly show the need to adjust for foot tilt among the pro ranks. Will Cleat Wedges help you win the Tour de France or at least a few stages? The BikeFit legal department was crystal clear to us that we can’t imply a direct correlation between using Cleat Wedges and attaining grand tour victories. At the same time, it’s extremely difficult to achieve your best performance when you experience bike discomfort. 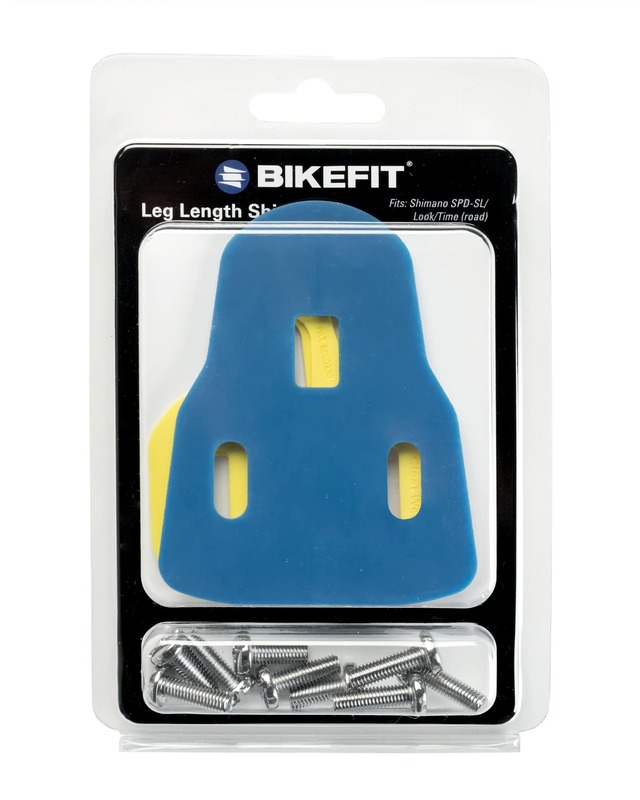 Many cyclists find relief from foot pain, knee pain, and even saddle discomfort by using wedges. 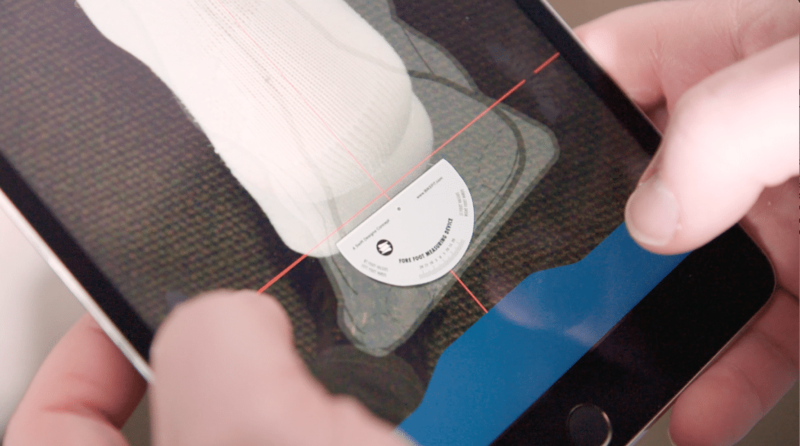 Measure foot tilt with the Foot Fit Calculator and your Android phone! All you need is a friend to help, and you can quickly find out if Cleat Wedges will improve your ride and how many you require. 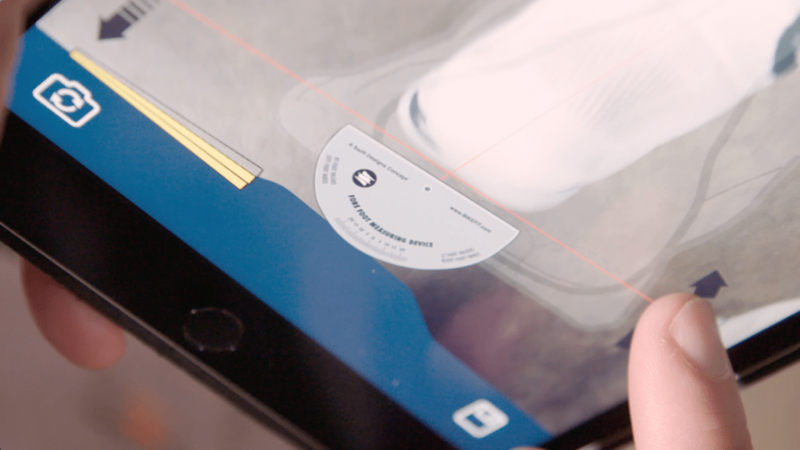 If you don’t have an Android phone, see our blog article for more help on discovering foot tilt and the importance of cleat wedges. At BikeFit, we’re always searching for avenues to increase efficiency. In this case, we listened to the myriad of Bike Fitters who inquired on whether we could create a 2-Degree Cleat Wedge. Lining up wedges and installing screws increases in difficulty as you increase wedges. You asked and we listened. After a year of development and testing, voila! Look 2-Degree Wedges! These new wedges decrease installation time and reduce the chance of slippage apparent with multiple wedges. They are also undeniably cooler than our previous wedges. Look 2-Degree Cleat Wedges are compatible with Look, Shimano SPD/SL, Time and most 3-hole cleat configurations. Our 1° and 2° Cleat Wedges are incredibly similar, but we’ve added clear labeling to help you discern them from one another. The new shape is much more durable for cleat installation and the rigors of hard rides. 1 or 2 Degree, Cleat Wedges are necessary for most cyclists. Look 2-Degree Wedges are available now in 20-packs. 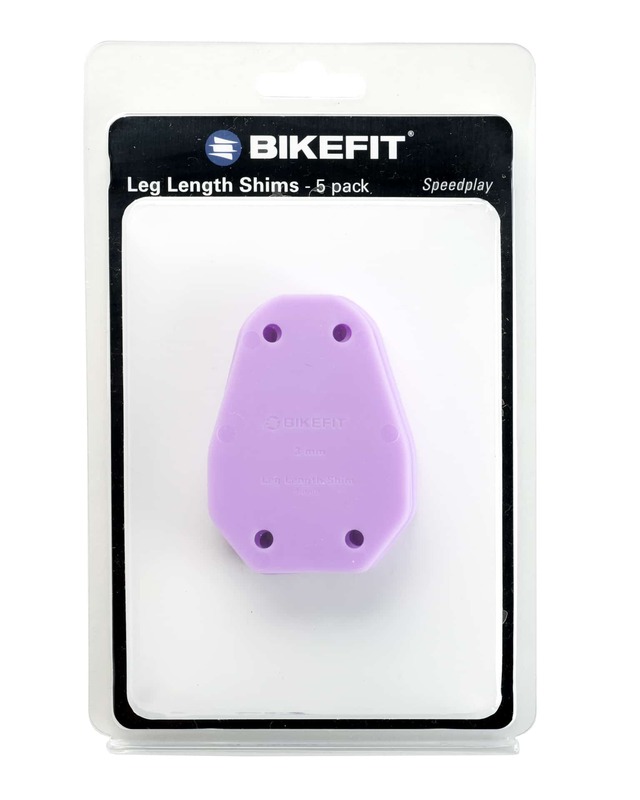 At this time they are only available at your local BikeFit Pro or if you are a bike fitter or a bike shop, you must be logged in and have a wholesale account at www.bikefit.com to view these products. Why Do I Need Cleat Wedges? One of the most important and overlooked aspects in bike fittings is the tilt and angle of the forefoot. Studies show that 96% of all cyclists are misaligned in their connection to the bicycle, decreasing comfort and efficiency. Of these cyclists, most have what is known as a Forefoot Varus (the inside of the foot tilts upward). This causes a misalignment as soon as you clip into a pedal because the pedal is flat. 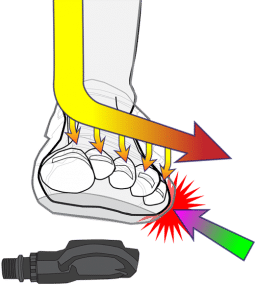 A simple tilt adjustment where the cleat/shoe meet can resolve the most common “hot spots” (your foot feels like there’s a flame underneath it). 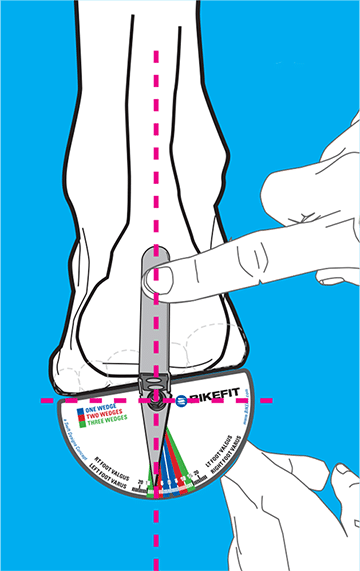 Cyclists frequently contact BikeFit complaining of discomfort or pain on the bottom, outermost part of their foot. The left illustration shows the location of the MOST common “hot foot” or foot discomfort. The right illustration shows the ideal even pressure across the entire ball of their foot. Cyclists often describe this as feeling better connected, more stable, even-feeling and so on. 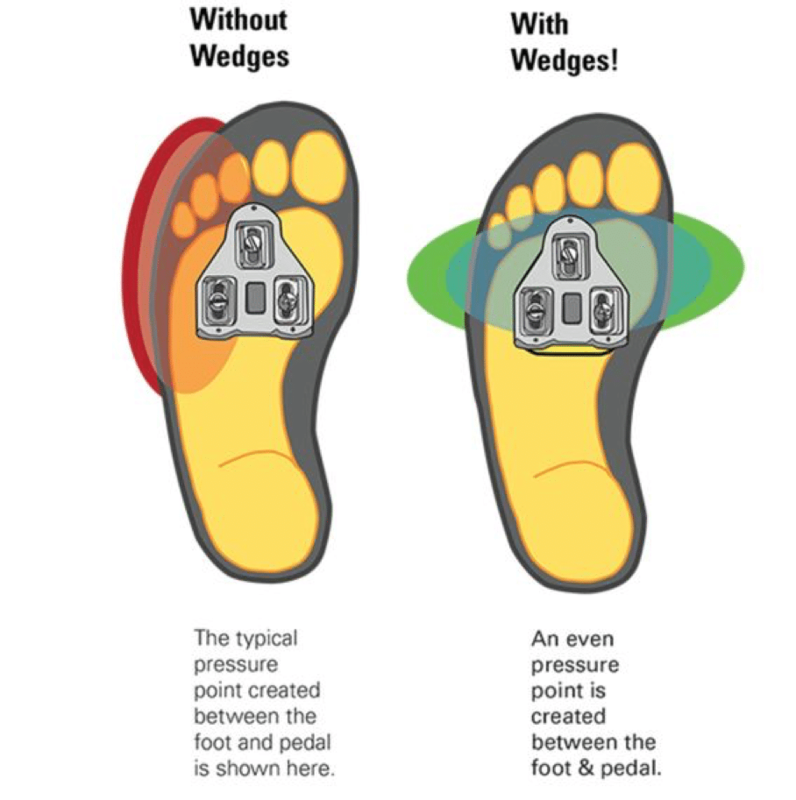 The illustration below portrays the pressure created from the inherent tilt in most feet. You can look at your own feet (with help) and see why there is often more pressure toward the outside of the foot. Kneel with on a chair and have someone hold a book or ruler across the balls of your feet. Are they angled up toward the inside or up at the outer part of the foot? Forefoot tilt is common so it’s likely that you’ll notice it. There’s a simple solution to reduce the pressure and increase comfort on your bike rides. Cleat Wedges are stackable to fine-tune your unique forefoot tilt. They are specially designed to “fill the gap” between the natural tilt of the foot and the flat pedal. 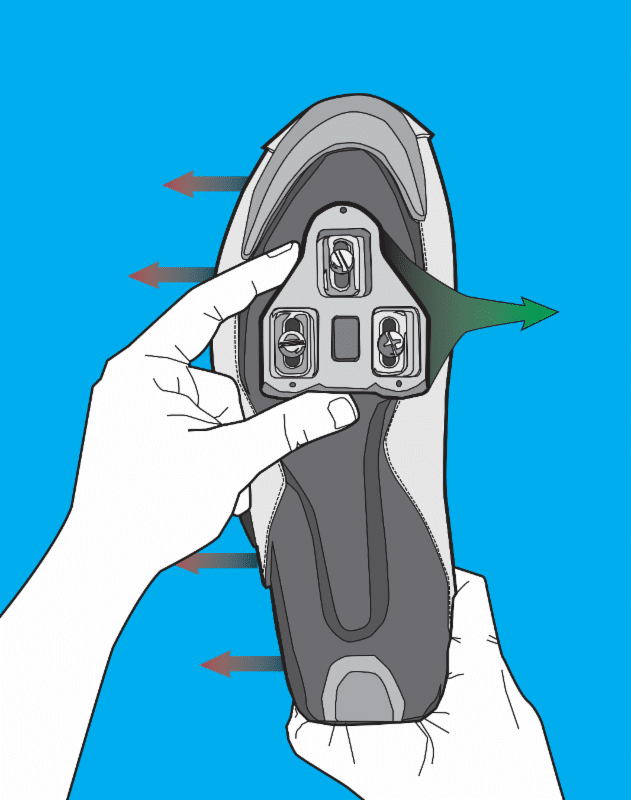 Consequently, they allow your foot to remain closer to its innate position, not change it. Deciphering the number of Cleat Wedges can be accomplished with the Foot Fit Calculator or the Forefoot Measuring Device. 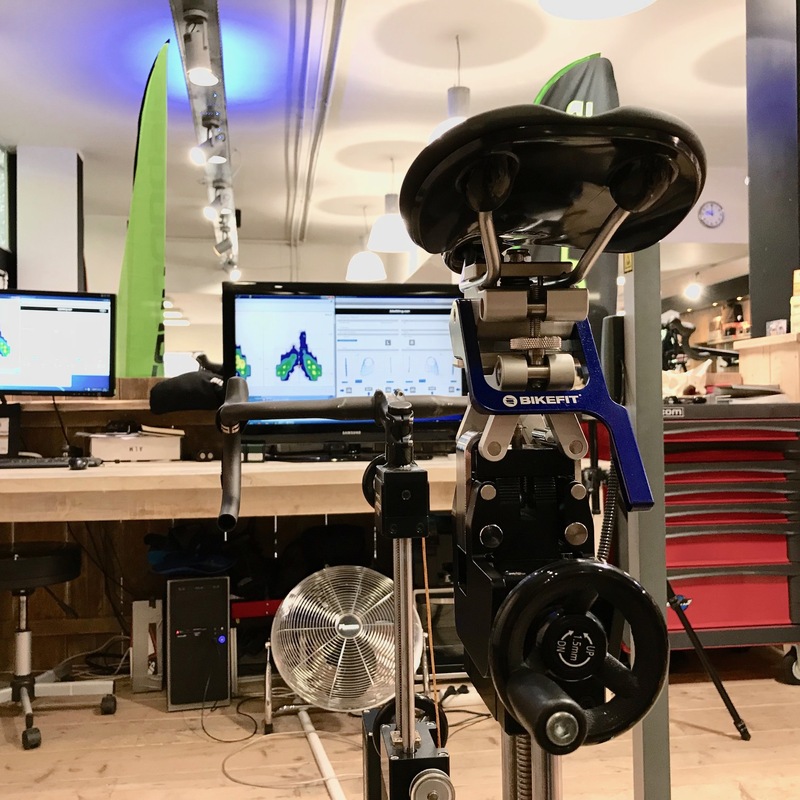 BikeFit Pros use a ForeFoot Measuring Device to discover foot tilt and recommend the number of Cleat Wedges needed to provide optimal comfort. These trained bike fitters not only use manual tools but also employ a video capture BikeFit app to aid in bike fitting. 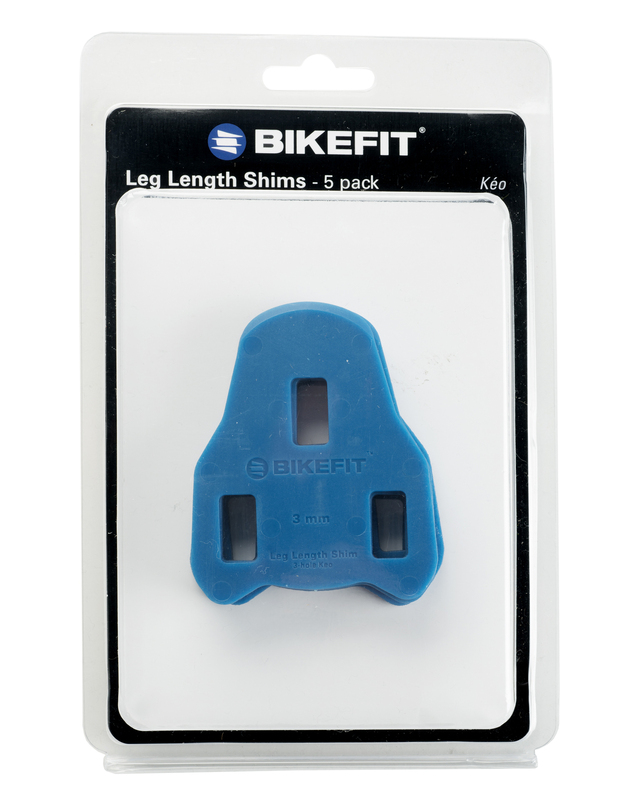 BikeFit Pros also provide extensive knowledge in fitting to optimize not only your foot/pedal interface but also your complete bike position. 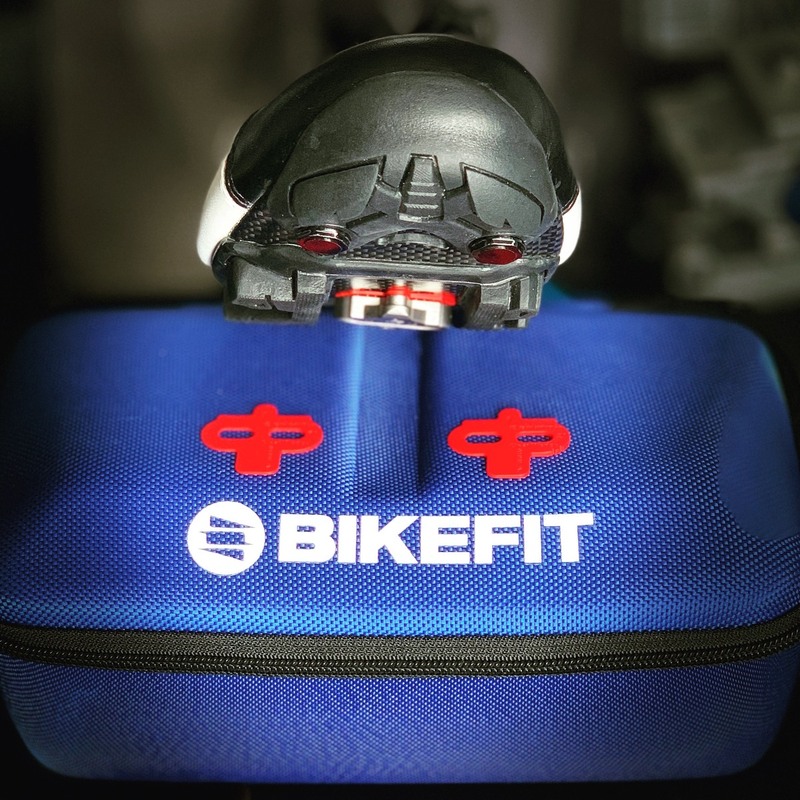 Visit our BikeFit Locator to find a pro near you! 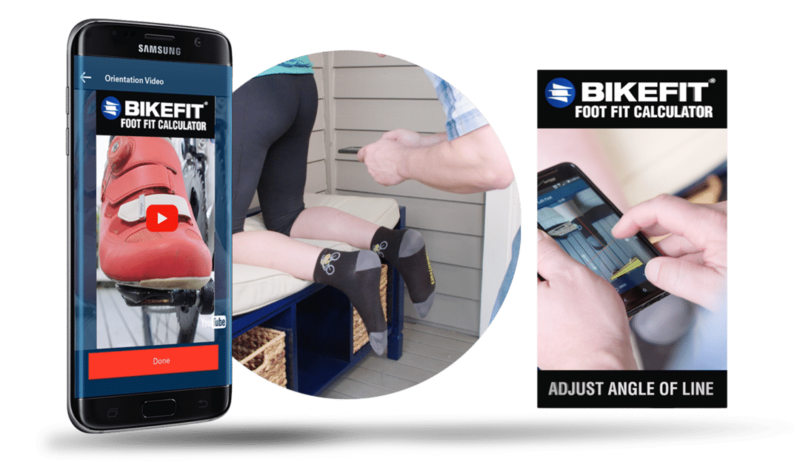 The Foot Fit Calculator App for Android allows you to easily determine foot tilt and the wedges required to compensate with our free app. All you need is a friend to help take a quick picture of your feet and a comfortable to chair to kneel on. The app even helps link you back to the BikeFit website to either find a local dealer or to purchase them via our website. Do you have more questions about foot tilt? Feel free to contact us!